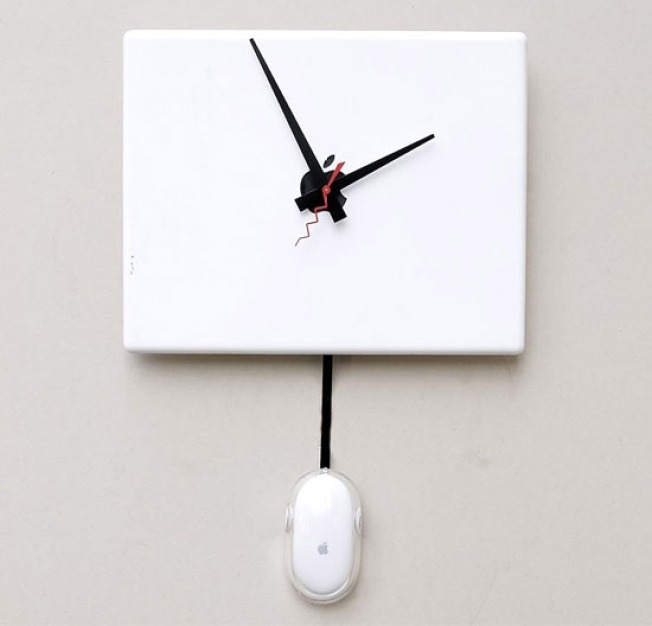 The iBook clock takes Mac lovers' obsession to a scary new level. Some of us are so Mac-obsessed (your humble narrator excluded) that we would even want to refer to one hanging on the wall to determine the time of day. If you fit that description, you might want to hurry and pick up this recycled Apple iBook G4 clock, because there's only one left. Barring that, you could make your own without too much trouble. We especially like the clever flourish of using one of Apple's iconic no-button mice as the pendulum. And unlike most Apple products, this one has replaceable batteries — a couple of AAs keep its quartz clock going and going. Hey, Apple taxpayers, it's incredible! Revolutionary!